Can Tenants Get a Refund for a Rental on Topsail Island After Hurricane Florence? 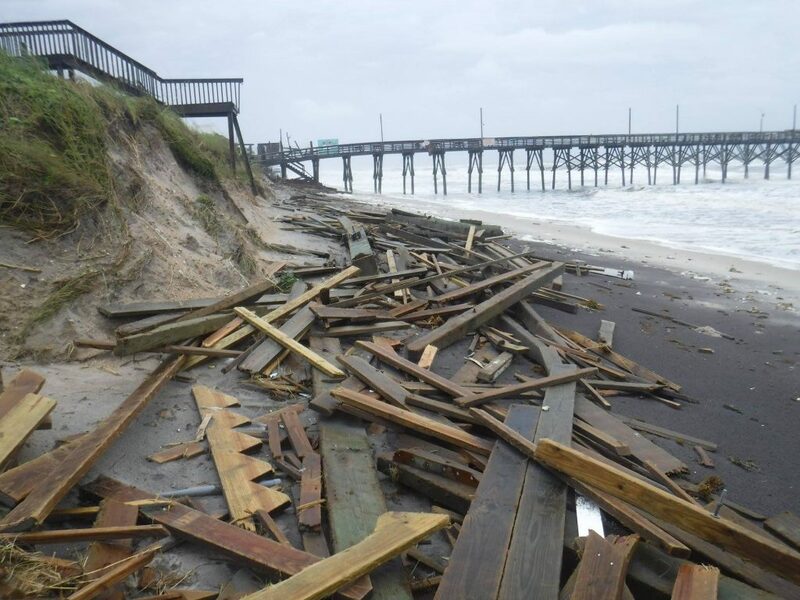 Hurricane Florence did more than trash people’s vacation plans, it trashed Topsail Island. While many of the beach houses are structurally sound, there was a mandatory evacuation order when Hurricane Florence arrived. And that’s good, considering that streets ended up with 4′ of sand on them and there were no utilities by the time the hurricane left. Can tenants get a refund for their beach house? I rent out a couple of beach houses in Surf City and this is the first thing that I was asked by a tenant who was scheduled to be on vacation from September 15 – September 22, 2018, and also by the next tenant who was supposed to be in from 9/22/18 – 9/29/18, etc – you get the picture, in fact, Topsail Island is closed until further notice. Since I take a very personal approach to renting beach houses on Topsail Island of course I offered everyone alternate dates or a refund. Everyone chose the alternate date. But what happens if you rented from someone on AirBNB or from one of the big “rental agencies”? You may or may not be able to get a refund. I’ll explain below. States like North Carolina who have both a lot of vacationers and hurricanes have special laws in place to protect tenants. North Carolina’s Vacation Rental Act (N.C. General Statute Chapter 42-A) protects consumers who rent a vacation home to some extent. Your rental agreement doesn’t cover what happens in the event of a natural disaster, Act Of God, or Mandatory Evacuation. You were offered rental insurance when you signed the rental agreement and you did not accept it. Some rental agreements spell out precisely what happens in the event of a natural disaster and that could include a refund, no refund, or, a partial refund. This applies to all beaches along the NC coast including North Topsail Beach, Topsail Beach, Atlantic Beach, Oak Island, Wilmington, Emerald Isle, Outer Banks, etc. Did you get burned at Topsail Island? If so, please tell us about it below in the comments section after taking some action. Having a problem with a hotel? File a complaint about a hotel by contacting the Attorney General’s Consumer Protection Division and file a complaint online. If you rented the property through a property management company or real estate broker, contact the North Carolina Real Estate Commission at (919) 875-3700. In addition to the NC Vacation Rental Act, you may be interested in the North Carolina Real Estate Commission’s page on Hurricanes, Evacuations and Vacation Rentals. We got burned. Sellers refused to refund or even rebook for the same week the following year.